Route # 8 Sequim: possible delays on 6:12 a.m. departure to Sequim and 6:52 a.m. return from Sequim. During construction transit stops may not be accessible on US 101 from Old Gardiner Road to north of West Uncas Road. Travelers can expect overnight, single lane closures each weekday beginning as early as Monday, April 22 through late summer until work is complete. During the overnight closures, drivers will follow a pilot car through the work zone. No work is scheduled July 19-21 for the Sequim Lavender Festival. 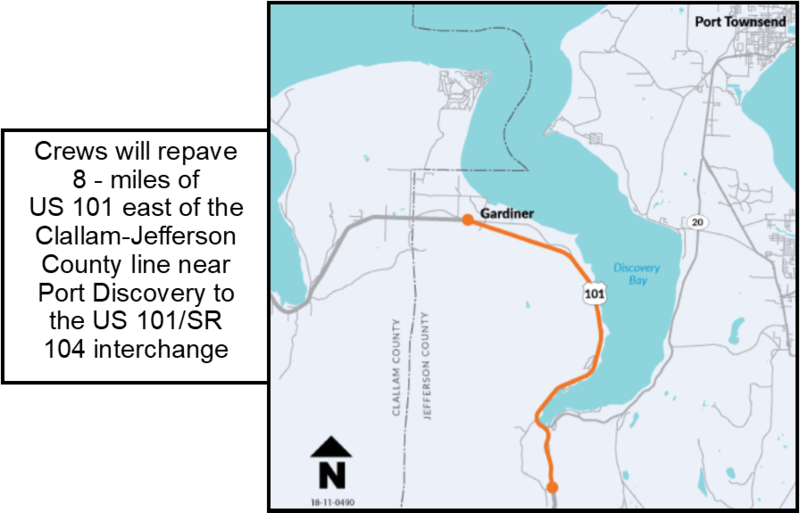 WSDOT encourages late night ferry riders or those traveling across the SR 104 Hood Canal Bridge to plan extra time to reach their destinations during construction. If you have any questions please call Customer Service at 360-385-4777. This entry was posted on Wednesday, April 17th, 2019 at 10:10 am	and is filed under Notices & Rider Alerts, Press Releases. You can follow any responses to this entry through the RSS 2.0 feed. You can leave a response, or trackback from your own site.